Today we are leaving for our week in Toronto and to learn a new tour. We are escorting The Careers in Welding trailer put together by the American Welding Society sponsored by Lincoln Electric. The last time I was around a welder was in high school, yes I took Ag Mechanics. It would have been unusual to leave school in my hometown with having such skills. Josh on the other hand has a working knowledge of the subject but no practical experience. What a pair we make. Thankfully we had a few days with my folks last week and my dad took some time with Josh in his shop. 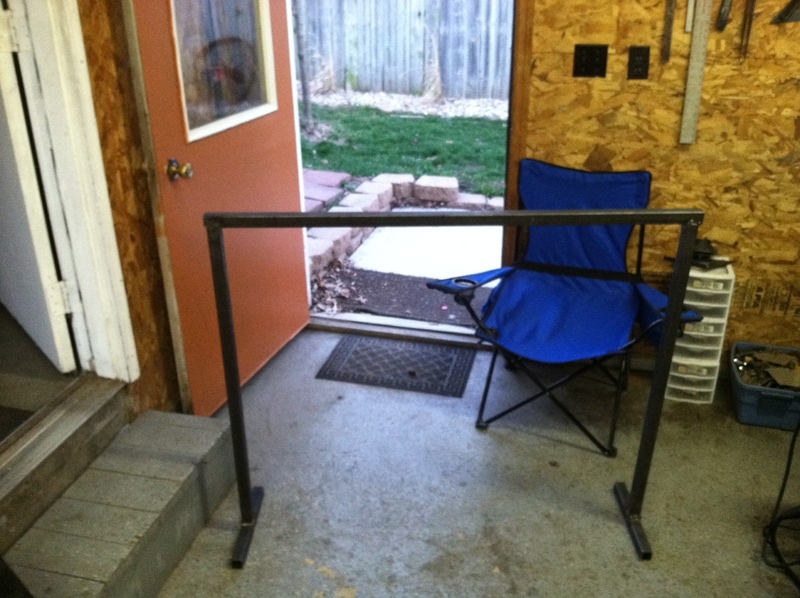 One of the activities they often do together is target shoot, so the perfect project to learn on would be a new rack and targets. Great timing since Dad just bought a Highpoint 45 for Josh to use while home. My father restores cars and has all kind of toys in his shop including a TIG welder, perfect for Josh to learn with. 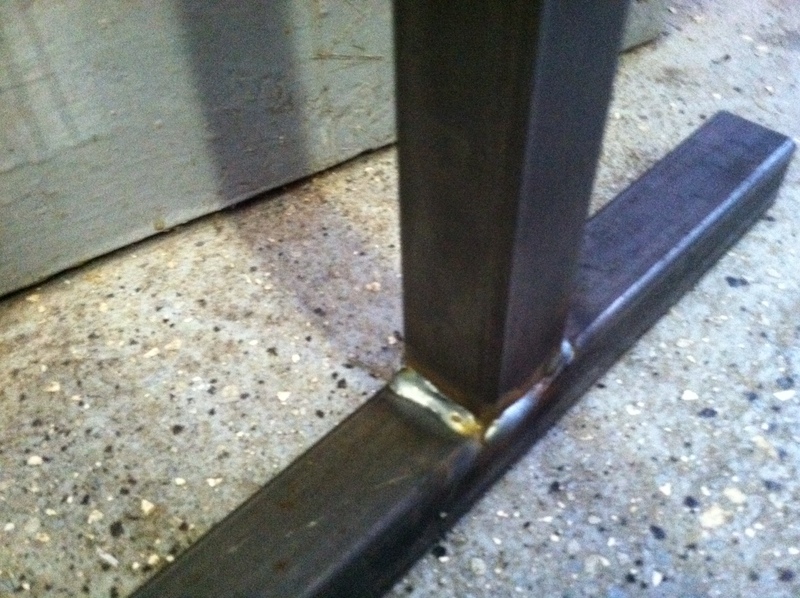 They started with a few simple welds to build the rack. The more challenging part was making targets. The only suitable metal they could find had a hole in middle. Fundamentally not correct for target practice. 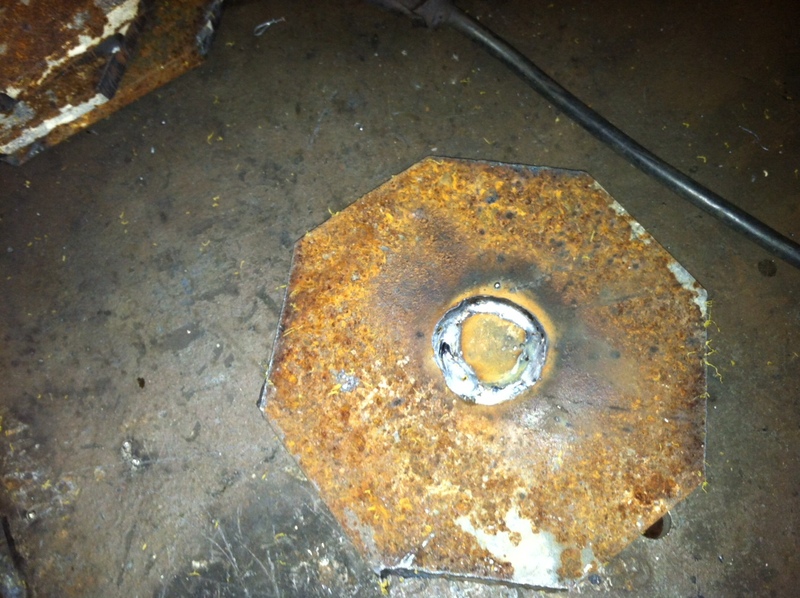 The solution was to carefully weld small washers into the center of the targets. I think Josh did a great job, certainly does not resemble chicken sh*t, that’s what my grandfather used to call poorly done welds. The trailer we are working with has simulators instead of real welders. It’s actually really cool, you put on a welding mask and hold a real torch but the mask contains a screen that gives you the results as you “weld”. Now this is really new ground for us but I think it will be a blast. As of right now we are just doing this one show and turning the tour back over to the full time team when the schedule officially starts. This entry was posted in Josh, Seeing Family, Work Stuff and tagged american welding society, American Welding Society Tour, FABTECH, welding trailer. Bookmark the permalink. We know nothing about welding. When you say simulators instead of real welders, are you talking about automated welding equipment? No, they are virtual welders. I would love to see the finished project with the targets.